The Master of Engineering (MEng) degree lets you specialise your degree with a range of options and provides you with the educational requirements needed to become a Chartered Engineer. The placement year also gives you the chance to get real work experience for a year in industry, whilst still being supported by the department at Sussex. You’ll study in our Future Technologies Labs that incorporate computer suites and new automation/robotics facilities. There is a dedicated manufacturing lab with state-of-the-art facilities such as CNC machines and 3-D printers. 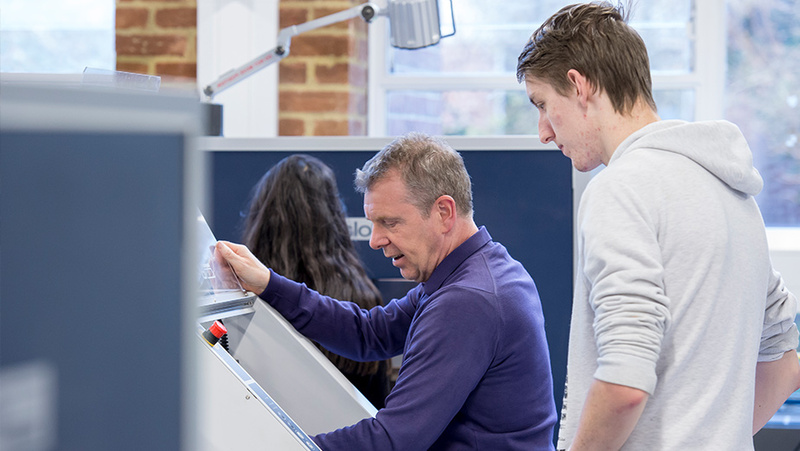 You'll be able to specialise in subjects such as CAD, computational fluid dynamics through optional modules. You'll also work on areas such as control, vibration, tribology, or aerodynamics through project work including Formula Student and Wind-driven car projects. We have dedicated academic advisors to support you during you time at Sussex and a team of student mentors. You will also be welcomed into our active, student-run engineering societies. We also offer this course without the industrial placement year, as a four-year BEng with an industrial placement year, or as a three-year BEng. Find out about the benefits of an integrated Masters year.